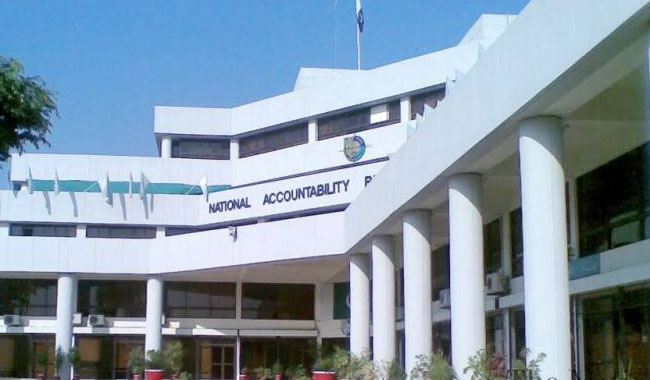 ISLAMABAD: National Acceptability Bureau (NAB) Chairman, Justice (Retd) Javed Iqbal Thursday said 1,210 corruption references of Rs900 billion were under trial in different accountability courts of the country. Addressing a seminar entitled `Corruption is Big Hindrance in Economic Development’ organized here by NAB Rawalpindi Bureau, he said the Bureau was giving priority to take mega corruption cases to logical conclusion. He said the Bureau believes in investigation of white color crimes amid complete documentary evidences and on basis of scientific ground. The NAB chairman said the Bureau was also investigating Mudarba Scandal cases on priority as 34 accused had been arrested while those who had gone abroad would be brought back through Interpol. him 10 years imprisonment and fined Rs9 billion. In this case, nine other accused were also fined Rs1 billion. Justice Javed said NAB had won Mufti Ehsan Mudarba case of Rs10 billion and this amount would be recovered from them and later, be distributed among affected persons. due to efficient prosecution, NAB had won this mega corruption case, he added. Moreover, he said, of the total 179 mega corruption cases, the Bureau had filed 105 references in accountability courts after completing all legal formalities. He said NAB had also recovered Rs 297 billion from corrupt elements and submitted the amount in national exchequer. He said corruption was ruining our economy and NAB was committed to end corruption from society. He said NAB was using all available resources to curb corruption and taking actions across the board against people who were involved in corruption. He told the audience that NAB was also taking action against those people who were thinking that they were above the law and no body dare to proceed against them. The NAB chairman said the Bureau was taking steps to curb money laundering and all the money which were deposited in foreign banks would be brought back. “Currently, our country owns debts of $94 billion and we also observed that this amount is not spent on any development project. Some people purchased luxury property in Dubai. Corruption is mother of all evils and the bureau takes it as a national duty to root out corruption,” he said, adding NAB was actively working for across-the-board accountability. The NAB chairman said Pakistan had improved its ranking from 160 to 107 in corrupt countries list. Responding to a question, he said 59 per cent Pakistanis were satisfied with the performance of NAB. At the end, he answered the questions of audience in professional manner.